Vinyl siding is a popular option for homeowners and business owners because of its low maintenance quality, but many confuse low maintenance with no maintenance. 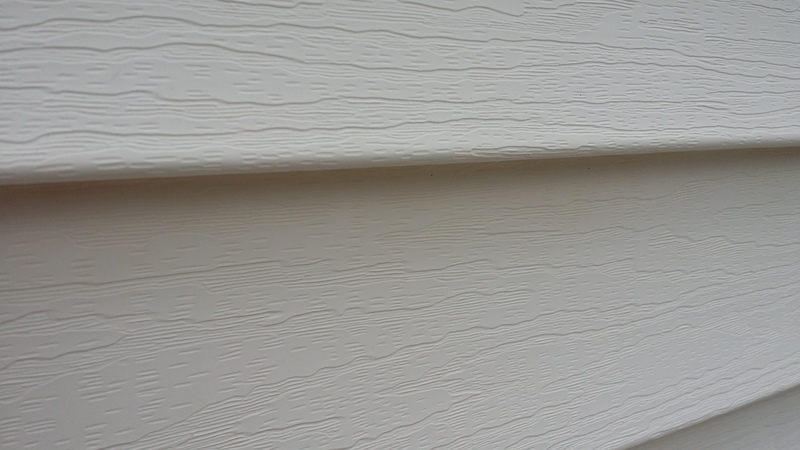 When your low-maintenance siding becomes dirty, covered in dark streaks, dirt, mildew and algae, it can quickly become an issue. Thankfully, there is a simple solution: vinyl siding can be effectively cleaned with professional power washing services. Mildew and algae thrive in environments where dirt and dust exist, making the sides of your home or business a perfect place to live. As dirt and dust settles on your siding, mildew and algae will grow, turning into a greenish film that threatens to overtake the outside of your home or business. This makes it appear dirty, uncared for, and can be a turnoff to not only to you, but to your neighbors, customers or potential homebuyers as well. To get rid of that unsightly greenish film, we recommend pressure cleaning. How often your siding needs to be cleaned depends on where you live and what elements your home or business is being exposed to on a regular basis. Getting your vinyl siding professionally cleaned and protected now and then will help maintain its integrity longer, so you don’t need to be concerned with replacing it as often – a costly investment that can be less frequent with proper care. At Renew Crew of Lincoln, we use a 3-step process that starts by killing and removing the mildew and algae without harming the vinyl siding. After rinsing, we apply a protective film that prevents the mildew and algae from growing, resulting in a cleaner home or business for a longer period of time. In-between cleanings, try to keep the vinyl siding clean by rinsing it off with a hose. If it will not wash off so easily, then you know it is a good time to call us for professional cleaning. Contact us today for a free estimate!